One of the problems facing many people with multiple sclerosis is that they get overheated while exercising, which can make their symptoms worse. Exercising in a pool helps with this issue. 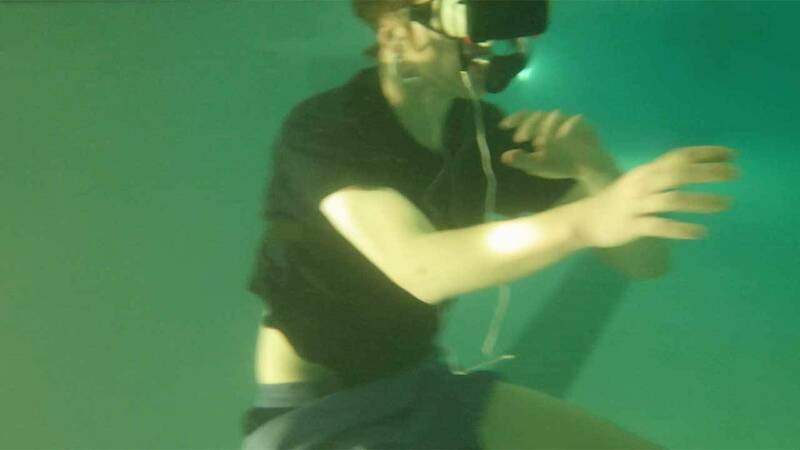 Now a professor at the University of Texas at San Antonio is combining aquatic physical therapy with virtual reality by creating a game for the pool called Shark Punch. The professor knows the game is beneficial because he himself has multiple sclerosis. Professor Quarles has applied for a patent for Shark Punch and continues to test the device on other MS patients to improve its effectiveness. Learn more by tuning in to SciTech Now this week, which airs 7:30 p.m. Fridays.